The 150th running of the $1,500,000 Belmont Stakes (Grade I), is the third jewel of the Triple Crown, set for Saturday, June 9, 2018 at historic Belmont Park in Elmont, New York. The Belmont Stakes, first run in 1867, is the oldest of the Triple Crown events, and one of the oldest stakes races in North America. Like the other Triple Crown races, there are several long running traditions associated with the Belmont Stakes. Through 1996, the post parade song was "Sidewalks of New York". From 1997 to 2009, the audience was invited to sing the "Theme from New York, New York" following the call to the post. In 2010, the song was changed to a solo version of Jay-Z's "Empire State of Mind" before reverting back to "Theme from New York, New York" for 2011 through the present. This tradition is similar to the singing of the state song at the post parades of the first two Triple Crown races: "My Old Kentucky Home" at the Kentucky Derby and "Maryland, My Maryland" at the Preakness Stakes. The August Belmont Memorial Cup is a silver bowl and cover made by Tiffany & Co. The figure of 1869 Belmont winner Fenian sits atop the cover, and the bowl is supported by the figures of Herod, Eclipse and Matchem - the three horses who represent the respective grandsons of the three foundation sires of thoroughbreds: the Byerly Turk, the Darley Arabian and the Godolphin Barb. Of these, the lineage of Eclipse is predominant in the modern thoroughbred. The trophy was presented by the Belmont family as a perpetual award for the Belmont Stakes in 1926. The winning owner may keep the trophy for a year until the next Belmont winner is crowned. The winning owner, trainer, and jockey also receive a silver miniature of the August Belmont Memorial Cup. 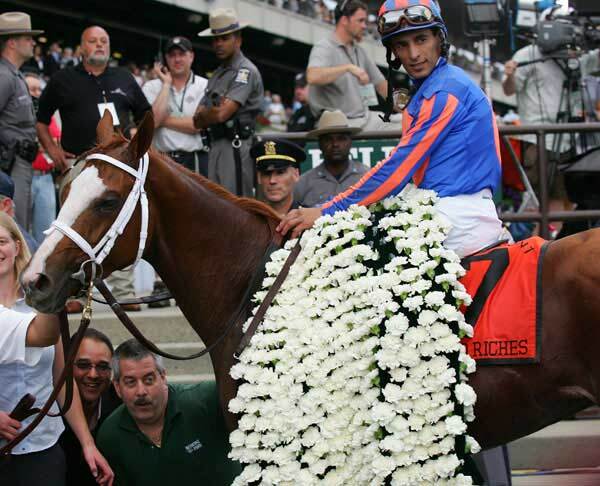 White carnations represent love and luck, and they are the traditional flower of the Belmont Stakes. It takes about 700 carnations to create the 40-pound blanket which is draped over the winner. NYRA florist Tony Green and his team glue each flower in staggered rows to seven yards of green velvet cloth, folded and sewn to give it the heft to shape and support the carnations. It takes Green about five hours to make the blanket on race day. He also makes one for the Secretariat statue in Belmont's paddock. 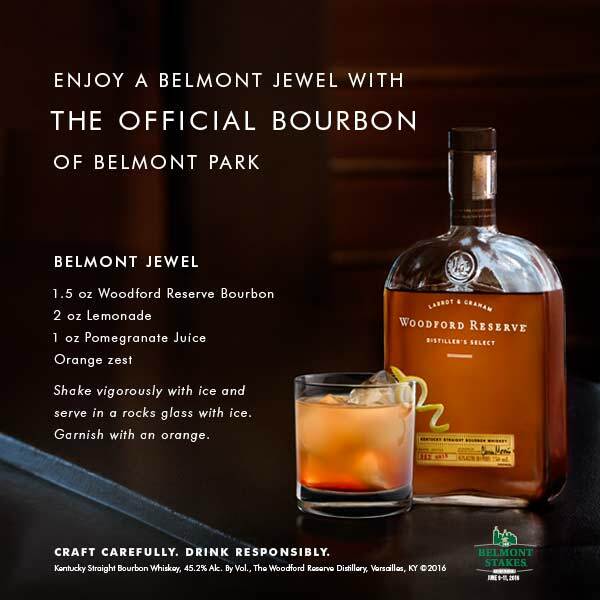 In past years, the official drink has been the Belmont Breeze, but for reasons unknown it was converted to the Jewel in 2011. The two are both bourbon cocktails, though the Breeze features orange and cranberry juices, plus a splash of sherry. 2018 Belmont Stakes Contenders List of the confrimed 2018 Belmont Stakes contenders. Betting the Belmont Stakes - There are several concepts unique to the race that have to be taken into account when handicapping the third leg of horse racing's Triple Crown. 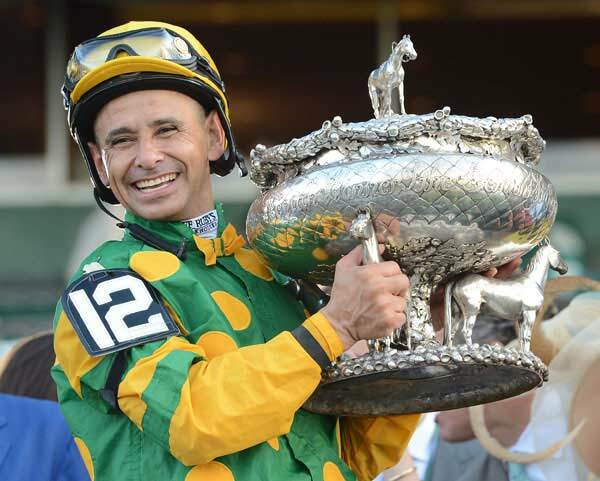 Belmont Stakes History - Notable Moments In Belmont Stakes History. Belmont Stakes Traditions - Listing of the long lasting honored traditions of the Belmont Stakes. Belmont Stakes Past Winners - Listing of previous Belmont Stakes winners from 1867 until present. Belmont Park - is the annual host racetrack of the Belmont Stakes. 2017 Belmont Stakes Video Replay - Tapwrit Wins Belmont Stakes at Belmont Park. Horse Betting News - Get up-to-date (Horse Racing News RSS Feeds) for the 2018 Belmont Stakes.